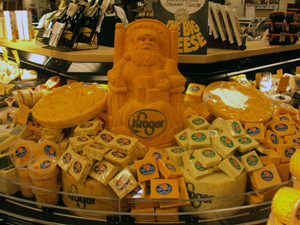 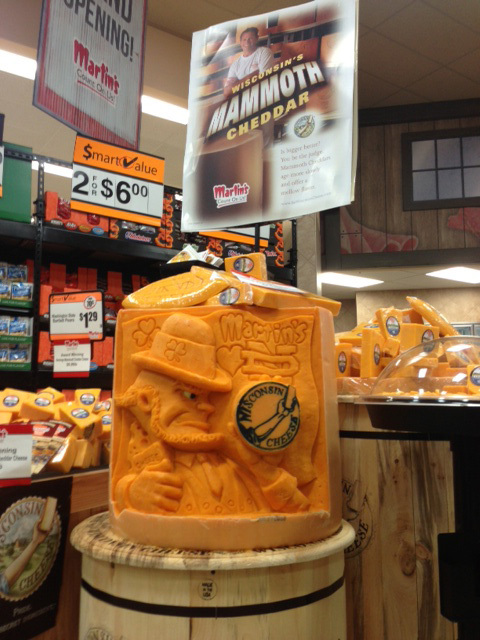 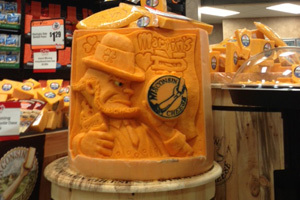 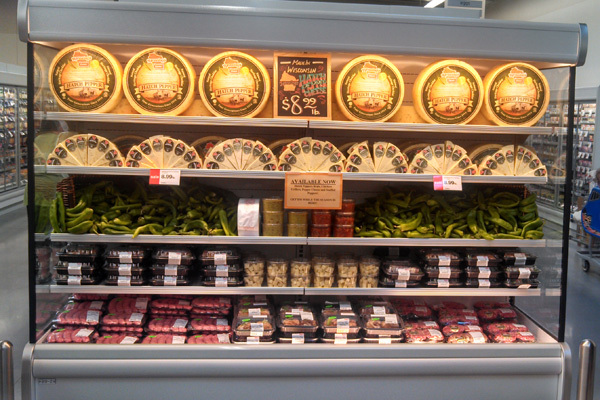 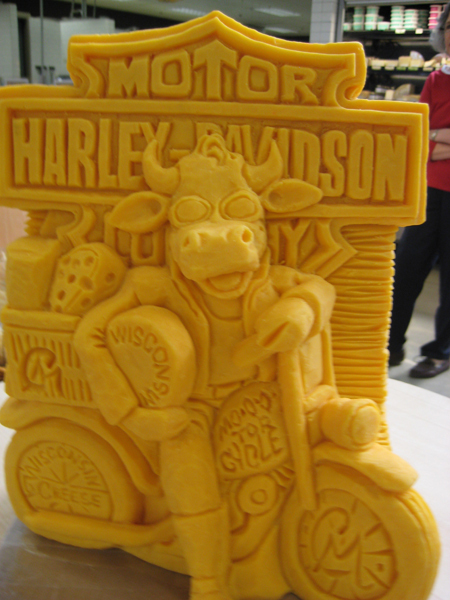 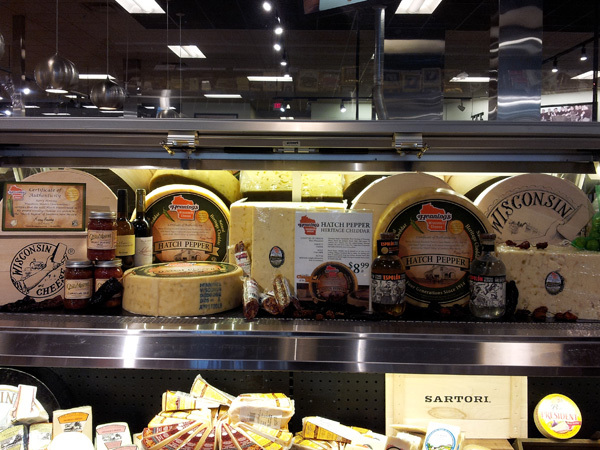 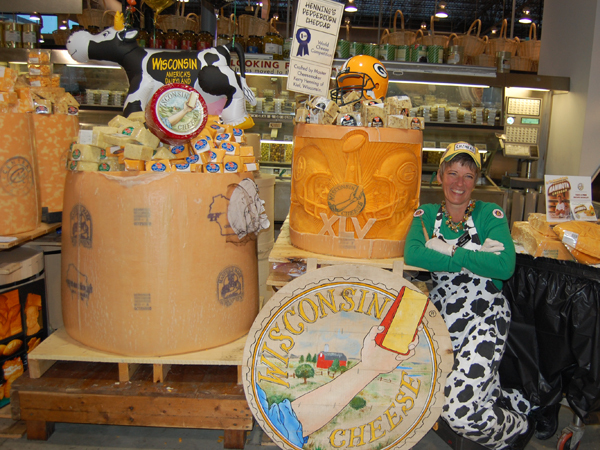 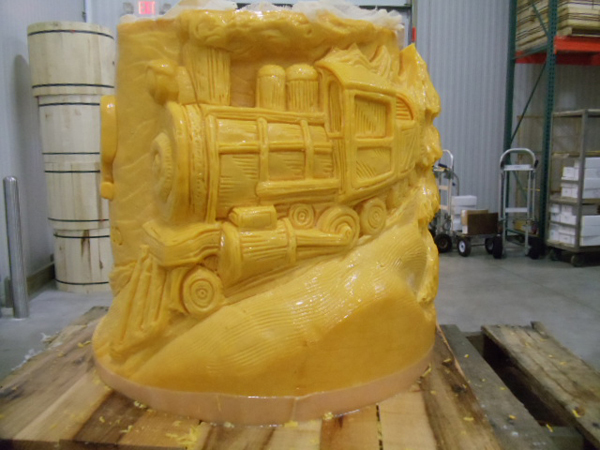 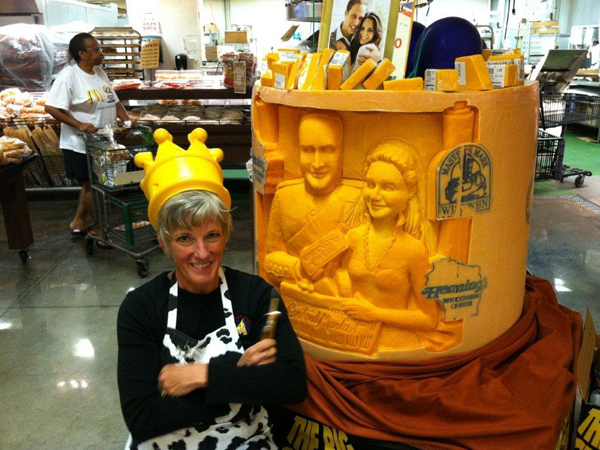 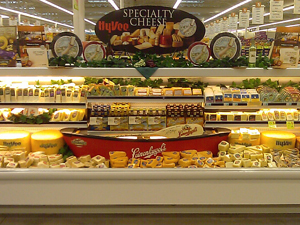 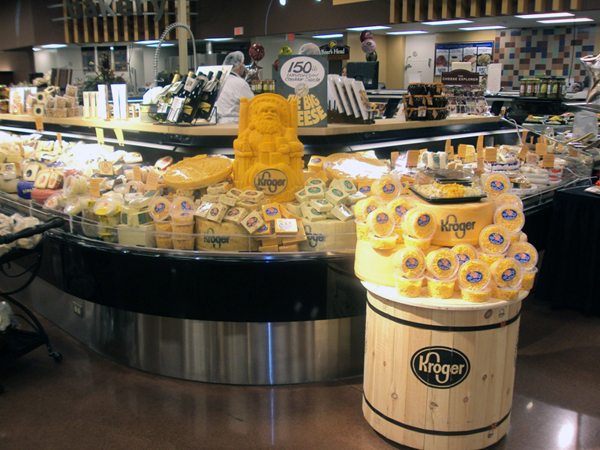 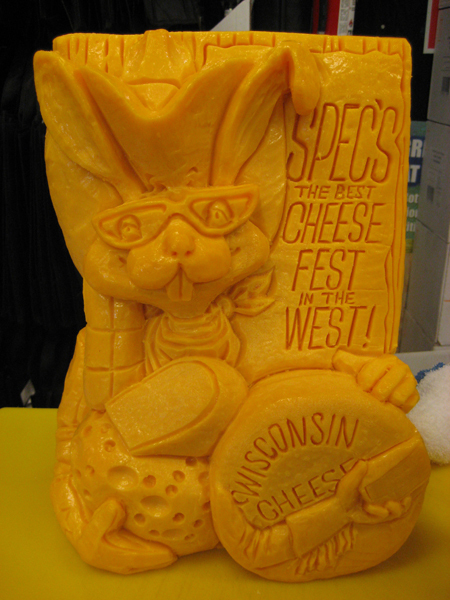 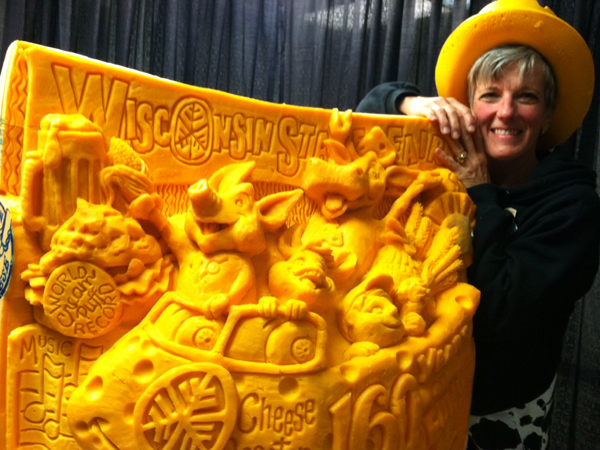 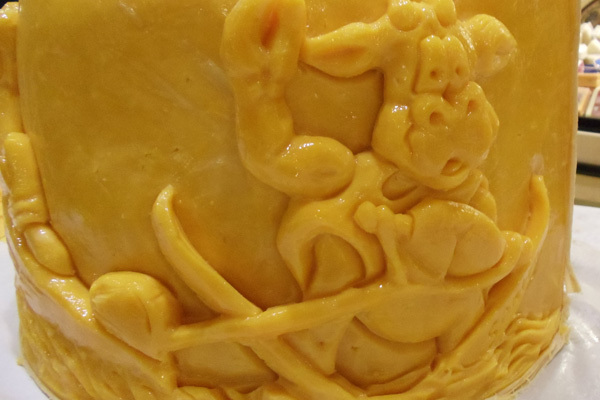 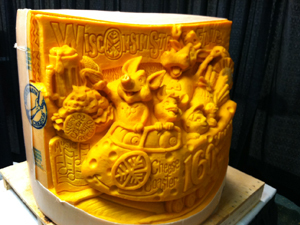 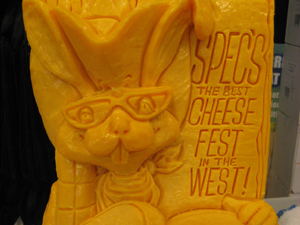 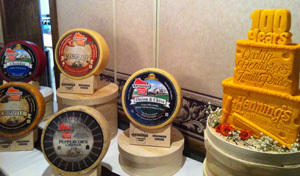 Below are some examples and ideas of ways to display our mammoth cheese wheels. 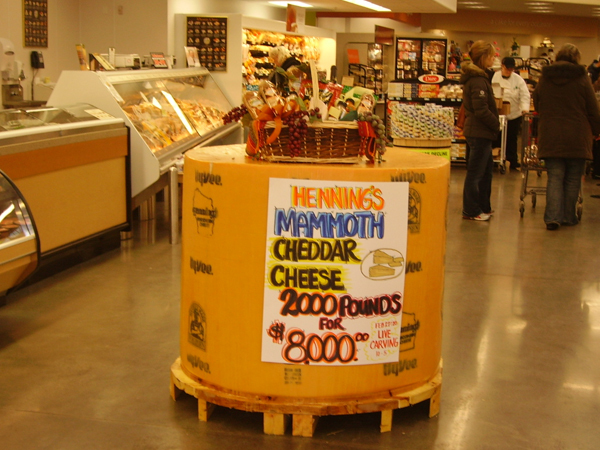 If you have ideas or photos of other ways to use mammoth wheels, please contact us and we'll add it to this page. 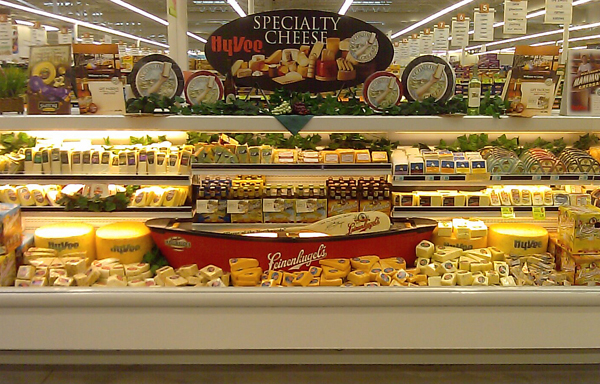 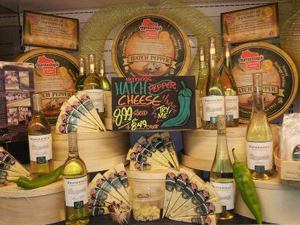 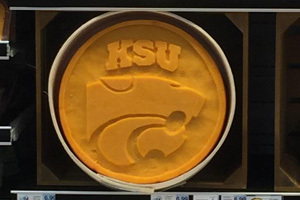 Stacy Johnson created this beautiful Hatch Pepper Cheddar display and cross merchandised it with wines and Hatch Chili Peppers at the Hy-Vee in Gladstone, Missouri. 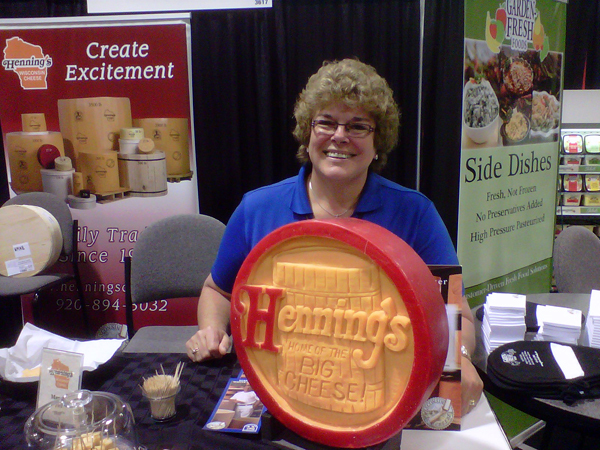 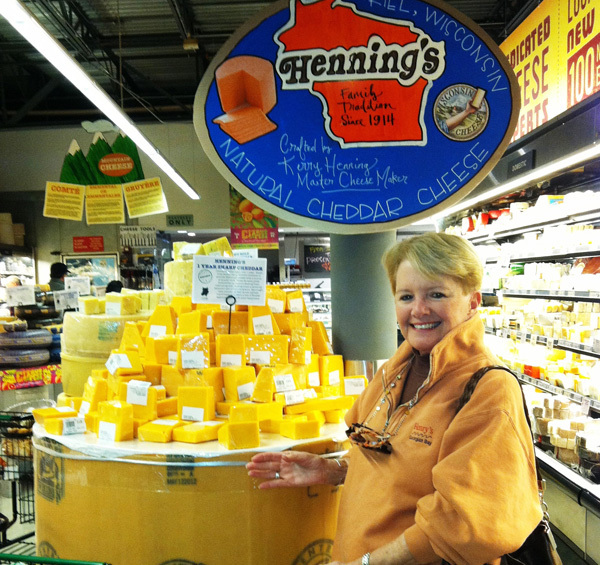 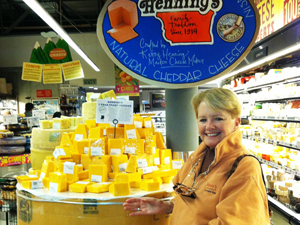 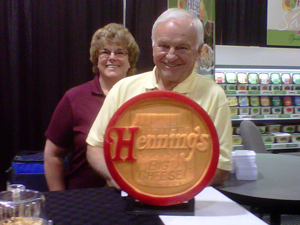 Henning's Hatch Pepper Cheddar is a creamy smooth cheddar that uses the authentic Hatch Chili Peppers from Hatch New Mexico. 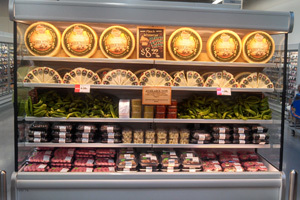 These peppers have a mild, sweet, savory flavor that go well with almost any dish. 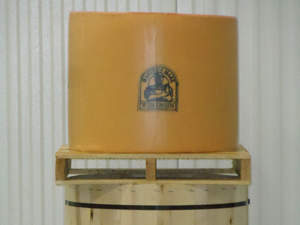 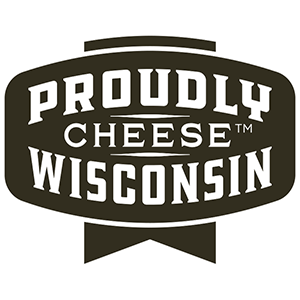 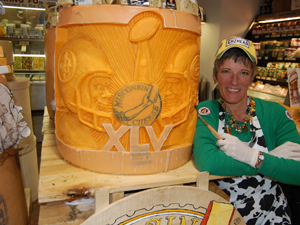 This cheese needs to be pre-booked in October or November for us to make it from January thru April. 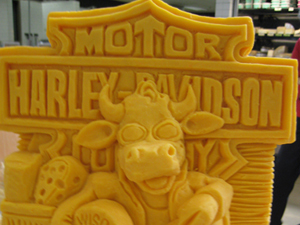 Let this unique flavor excite you taste buds and your customers. View a YouTube video of Sarah Kaufmann carving this mammoth wheel. Slide the box off of the cheese. Place the box on top of another pallet. 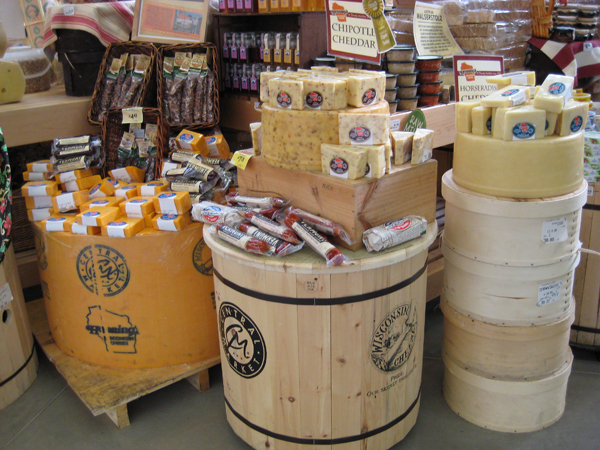 Lift the cheese with its pallet on top of the box. This brings the mammoth wheel up to the customers eye level. 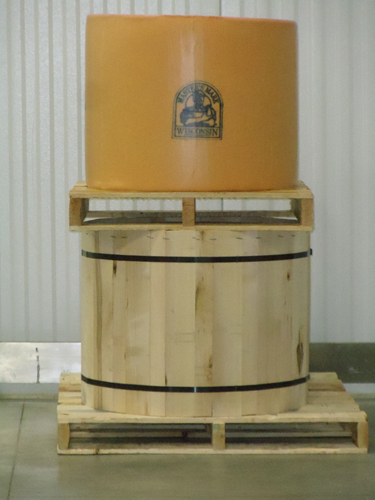 This allows you to haul the mammoth wheel into the cooler each night.